Want a sneaky little peek at the latest, yet-to-be-released piece from doll house aficionados Rock & Pebble? Click on through to find out when you can get your hands on one. There’s little point in trying to hide our love for Rock & Pebble doll houses – we’ve previously shown you the Apple and Pear doll houses, the delightful Ele Villa and the Dollhouse Book. 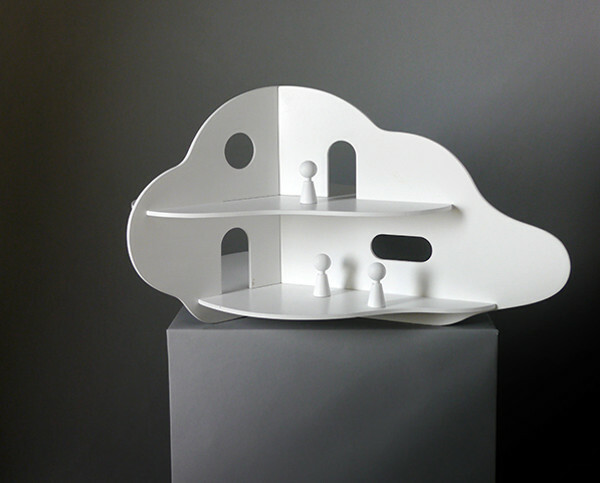 Now we can reveal the soon-to-be-released Cloud House – it’s positively dreamy. It transforms as you turn it around to reveal three different sides, with beautiful curved floors. It’s made of solid birch plywood, and will come flat packed. It will be available from early March, and pre-orders are due to open soon. The price is yet to be confirmed.